Since 1982, Risa has been at the forefront of developing innovative programs, protocols, educational forums and materials on elder abuse, neglect and financial exploitation. She also writes articles, educational materials and thought pieces on the topic, including co-authoring the seminal book guiding interventions, Strategies for Helping Victims of Elder Mistreatment. She co-authored the Elder Justice Roadmap Report, which affirms that elder abuse is indeed a problem with solutions. Visit Risa’s Linkedin page here. Raphaelle is the Administrative Assistant for NYCEAC’s MDT expansion initiative. As the administrative backbone of the initiative, Raphaelle is a consummate multi-tasker, assisting with everything from answering phones to data collection to handling finances – and everything in-between. Raphaelle honed these skills at her previous position as Administrative Assistant at the Girl Scouts of Nassau County. Raphaelle graduated with a Bachelors in Communications and Professional Studies from Molloy College. To contact Raphaelle, click here. Nathalie is the Program Assistant for Special Projects at NYCEAC. 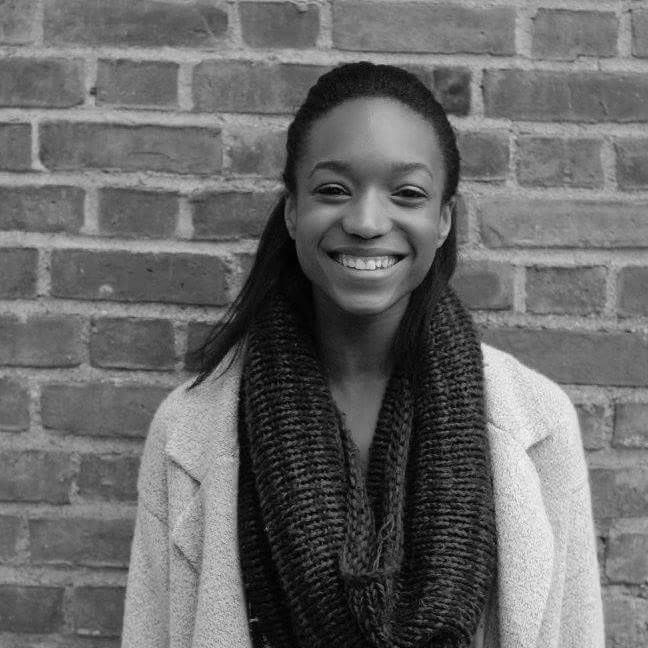 Taking on NYCEAC’s administrative and social media work, she handles everything from scheduling events to blog posts. 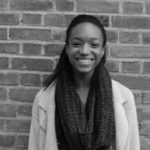 Nathalie previously served as a Human Resource Assistant Intern at Wellspring Philanthropic Fund. 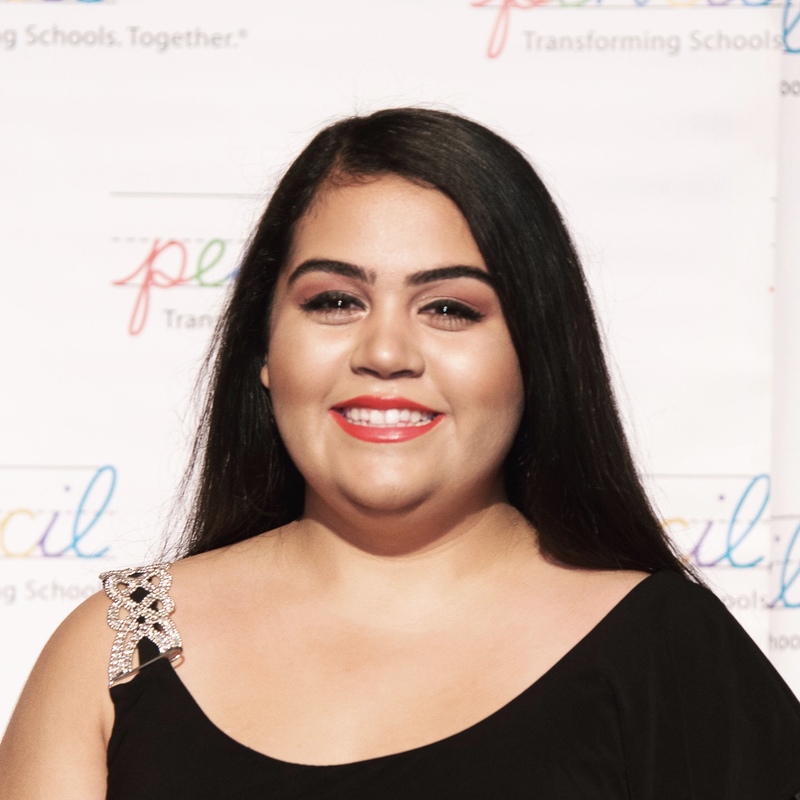 She is currently pursuing her Bachelor’s Degree in Psychology at Hunter College, CUNY. Lisa Rachmuth is the Deputy Director of NYCEAC’s MDTs. She manages the day-to-day operations of NYCEAC’s existing MDTs and is spearheading the expansion of the MDTs to all five boroughs. 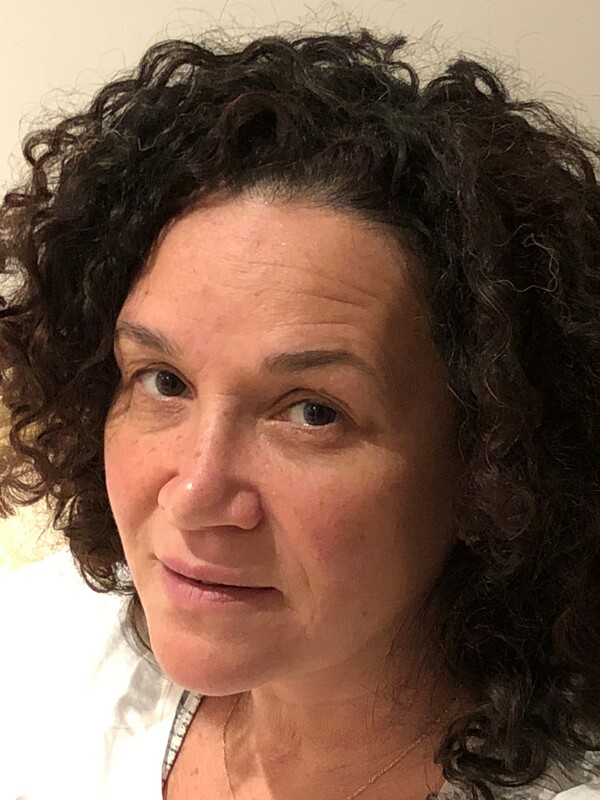 Prior to joining NYCEAC, Lisa was the Director of Clinical Initiatives and Programming for NYC’s Human Resource Administration’s Office of Domestic Violence. Through these two positions, Lisa has worked with systems, communities and individuals affected by and dedicated to Domestic Violence and Elder Abuse. Lisa holds a Master in Social Work from the University of Pennsylvania. She has 27 years of social service experience, with a particular expertise in child abuse, intergenerational abuse, domestic violence and housing initiatives for individuals and families. In addition to her years of clinical and administrative experience, Lisa is an experienced workshop curriculum developer and presenter. Lisa is also an Adjunct Professor at The Silberman School of Social Work and a board member for an organization called Evenfooting. To contact Lisa, click here. Peg is the Senior Program Coordinator for the NYC Elder Abuse Center (NYCEAC). She coordinates the Brooklyn MDT, consults on elder abuse cases with government and community-based agencies, and trains on elder abuse identification and intervention. Previously, she worked in the Domestic Violence Bureau of the Kings County District Attorney’s Office (Brooklyn), where she ran its flagship program for people with disabilities who were physically or sexually assaulted. Later, as the D.A.’s Elder Abuse Unit Coordinator, Peg worked with older adults who were assaulted, abused, threatened and financially exploited by someone they knew or trusted. Peg also worked at YAI/National Institute for People with Disabilities, where she was a field social worker for people with Intellectual/Developmental Disabilities in the Bronx and Manhattan. Peg received an M.S. from the Columbia University School of Social Work in 1998. She is an accredited field instructor for social work students. To contact Peg, click here. 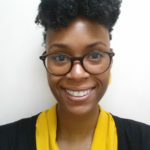 Khi-Lynn Johnson, LMSW, joins NYCEAC as the new Multidisciplinary Team (MDT) Coordinator for Manhattan. In addition to consulting on elder abuse cases, Khi-Lynn provides trainings on elder abuse identifications and interventions. 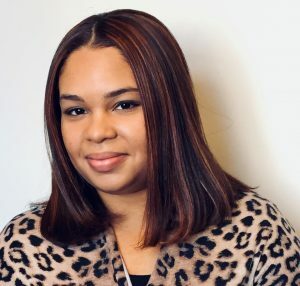 Khi-Lynn gained extensive experience with high-risk elder abuse cases as a social worker for the Human Resource Administration for Adult Protective Services. Khi-Lynn also worked at Urban Resource Institute as a supervisor in their domestic violence shelter. The shelter piloted the People and Animals Living Safely (PALS) initiative program, which recognized the importance of pets as a primary source of emotional support for domestic violence survivors. Khi-Lynn is a 2013 alumna of the Yeshiva University Wurzweiler School of Social Work. To contact Khi-Lynn, click here. 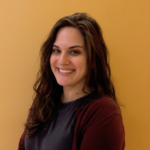 Deena Schwartz is the Multidisciplinary Team Coordinator for the Bronx and Brooklyn EMDTs and oversees the EMDTs’ civil legal work. She consults on elder abuse cases and assists government and community-based organizations in synthesizing information to present complex cases to the EMDTs. She facilitates these teams with the goal of generating creative solutions to complex cases that one organization could not have otherwise reached alone. She gained experience in the field of elder abuse as a Senior Attorney with the Office of Legal Affairs (OLA) for the New York City Department of Social Services, where she counseled various programs including Adult Protective Services and HIV/AIDS Services Administration. She has extensive experience litigating Article 81 Guardianship cases in Supreme Court and motioning for Guardians ad Litem in Housing Court. As a former OLA representative on the Manhattan EMDT, she is excited to now play this larger role in supporting the multidisciplinary approach to elder abuse. She previously worked as a Fellow at the Feerick Center for Social Justice focusing on consumer debt issues facing vulnerable New Yorkers. 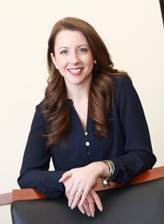 Deena received her Juris Doctor from Fordham Law School and graduated Phi Beta Kappa from Tulane University. To contact Deena, click here. Leigh is NYCEAC’s MDT Program Specialist. Leigh volunteers at Mount Sinai Beth Israel’s Sexual Assault Advocacy and Intervention Program where she cultivates a strong interest in supporting patients who have been abused. She continues this line of justice work at NYCEAC, where she provides administrative and clinical support for the MDT Coordinator through assisting with the planning, organization, and execution of the MDT meetings. Leigh received her B.A. in Neuroscience and Gender Studies from Dartmouth College. Phillip is NYCEAC’s MDT Program Specialist. Phillip assists with the development, coordination and execution of the MDT meetings and provides administrative and clinical support to the MDT Coordinator. 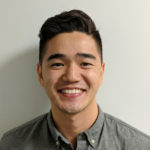 Phillip refined these skills previously serving as a Program Assistant for the Injury Prevention Program at the Boston University Medical Campus and as an International Justice and Human Rights Research Assistant for Sargent College. Phillip has also volunteered and partnered with non-profit organizations all around the world and has worked with many different vulnerable groups such as North Korean refugees, Native Americans, and people with intellectual disabilities. Phillip received his B.A. in Health Science from Boston University. To contact Phillip, click here. Terrel Sykes is the Data Specialist at NYCEAC. His primary responsibilities are managing NYCEAC’s database, assisting with analyzing its data to establish trends and progress, generating reports, and making other technology-related suggestions that enhance the privacy and security of NYCEAC’s work. 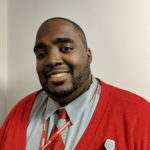 Terrel has previously served as the Records Access Officer for the Bronx District attorney ’s office under Darcel Clark, as well as a CUNY Service corps open data analyst at the Manhattan Borough President’s office under Gale Brewer. Terrel graduated with a Bachelor’s of Science in Criminal Justice from John Jay College of Criminal Justice. To contact Terrel, click here. 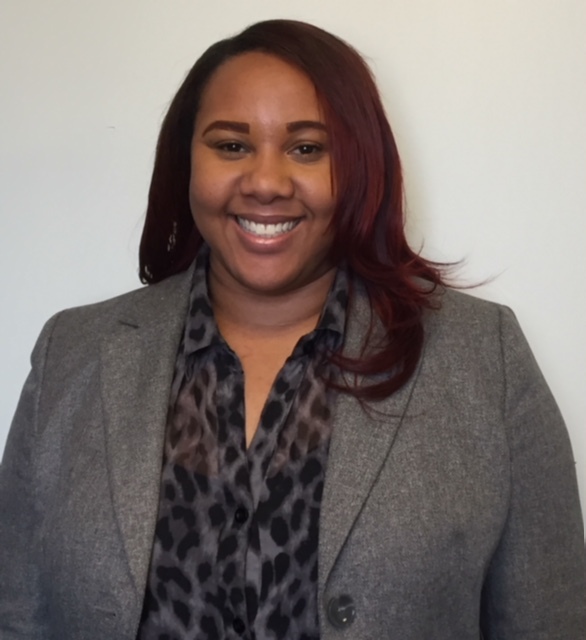 Ayana Mortley is the Workshop Training Coordinator for the NYC Elder Abuse Center (NYCEAC). 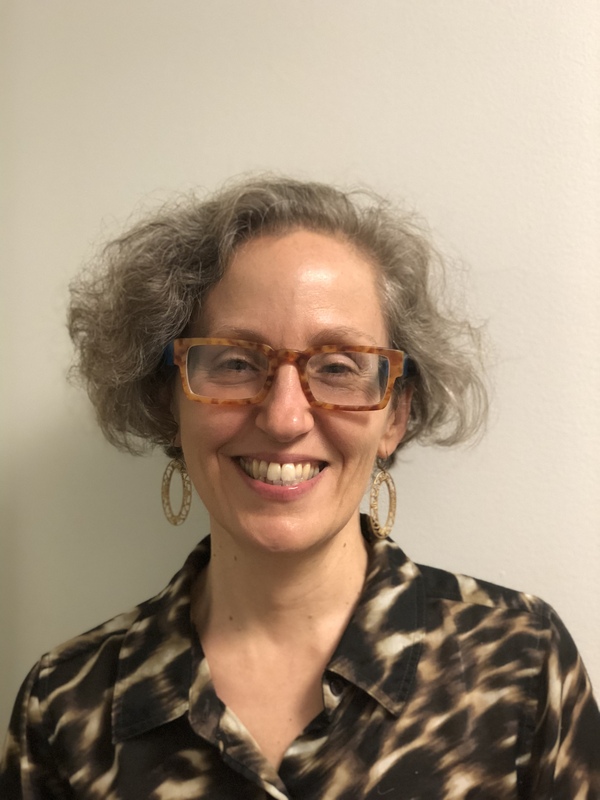 She collaborates with team specialists to design, facilitate, and coordinate workshops about NYCEAC’s programs, elder abuse, and geriatric medicine. She also conducts outreach to internal and external constituents to build networks in NYCEAC’s expanding catchment area. Ayana developed a passion for elder justice during her time as a social worker for the Human Resources Administration Adult Protective Services program, where she developed and facilitated intervention plans for high-risk vulnerable adults . Ayana cultivated her interest in training and education on her college campus, where she delivered workshops and facilitated campus-wide discussions on the topics of diversity, sexual assault and social justice. Ayana received her B.A. in Sociology from Wesleyan University. To contact, click here. Karen Webber is a forensic accountant dedicated to assisting law enforcement, attorneys, not-for-profits, government agencies, and other organizations with financial exploitation investigations. Karen participates on several Enhanced Multidisciplinary Teams (E-MDTs) across New York State, from the Finger Lakes to New York City. She consults on cases, reviews thousands of financial documents, and reports her findings to the E-MDTs and law enforcement, providing expert testimony as required for various court proceedings. Karen consults with professionals throughout the United States and abroad to develop conference presentations and other training materials for those charged with the prevention, detection, and intervention in financial abuse cases. Karen started her practice in 2009, and earned an M.S. Forensic Accounting degree from The College at Brockport, State University of New York, in 2010. An internist and geriatrician, Mark is the Irene and Roy Psaty Distinguished Professor of Medicine at the Weill Cornell Medical College and Co-Chief of Geriatrics and Palliative Medicine, and the Director of Geriatrics for the New York Presbyterian Health System. Both a clinician and researcher, Mark has conducted numerous studies of elder abuse outcomes and epidemiology, and he is principal investigator of the largest longitudinal study of elder abuse victims which was funded by the National Institutes on Aging. He is also the co-principal investigator of the NYS Prevalence Study, funded by the NYS Family & Children’s Trust Fund. His other interests include resident-to-resident abuse in long term care, abuse committed by paid home care providers, and self-neglect in older people. His many accolades and awards include a Paul Beeson Physician Faculty Scholarship (the country’s preeminent career development award in Geriatric Medicine), a National Institutes on Aging Academic Leadership Award and the National Committee for the Prevention of Elder Abuse Rosalie Wolf Ward. A co-author of the American Medical Association’s Diagnostic and Treatment Guidelines on Elder Abuse and Neglect, he has testified before congress on matters related to aging, served as a consultant to the World Health Organization on an international screening study of elder abuse, and been a member of a congressionally mandated National Academy of Sciences Panel convened by an order of congress to address the training needs of health care professionals in domestic violence. Mark mentors junior faculty in the area of elder abuse and neglect, and maintains an active geriatric medicine practice in New York City. In September 2010, Penguin Viking published his book Treat Me, Not My Age: A Doctor’s Guide to Getting the Best Care as You or a Loved One Gets Older (www.treatmenotmyage.com). Visit Mark’s Linkedin page here. Ronnie is an Associate Professor of Clinical Medicine at Weill Cornell Medical College and New York-Presbyterian Hospital within the Division of Geriatrics and Palliative Medicine. She provides geriatric medicine consultations to NYCEAC’s multidisciplinary teams, serving to help the teams evaluate and respond to the myriad medical issues that are presented to them. In addition, she has developed and conducted numerous elder abuse trainings for a variety of institutions throughout the greater New York City area and beyond. Ronnie has presented at national conferences, has conducted workshops on a broad range of topics related to elder abuse, and has managed cases of elder abuse in New York-Presbyterian Hospital’s Geriatrics out-patient practice as well as in the homebound population as Former Director, Home Visit Program in the Division of Geriatrics and Palliative Medicine at Weill Cornell Medical College. Robert is a Professor of Psychiatry at Weill Cornell Medical College and attending psychiatrist in the Division of Geriatrics and Palliative Medicine. He also maintains an outpatient practice in geriatric psychiatry at the Wright Center on Aging. Robert graduated from the Mount Sinai School of Medicine in New York and completed his residency at New York Presbyterian Hospital. He provides consultation to NYCEAC’s multidisciplinary teams on mental health and aging. His research focuses on geriatric depression, personality disorders, suicide, and elder abuse, with further investigation into the clinical significance of personality disorders as a possible future indicator of relapse for depression. A personal interest in humanities led Robert to publish several articles on the underestimated contribution of geriatric depression to Queen Victoria’s death, weaving together the seldom explored territory of psychiatry and historical studies. In 2007, Robert was awarded the nationally recognized Clinician of the Year award by the American Association for Geriatric Psychiatry. Caitlin is an Assistant Professor of Psychiatry at Weill Cornell Medicine. She graduated from Weill Cornell Medicine, and completed her General Psychiatry Residency at NewYork-Presbyterian Hospital/Weill Cornell Medicine, followed by her Geriatric Psychiatry Fellowship at NewYork-Presbyterian Weill Cornell Institute of Geriatric Psychiatry. In addition, she received an Executive Master of Business Administration from Columbia University. 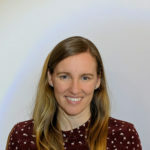 Her academic interests include elder abuse, financial decision making in the aging brain, palliative care, medical student and resident education, and integration of mental health into primary care settings. 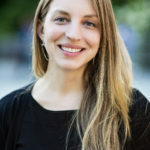 In addition to her work with NYCEAC, she is involved with medical student and psychiatry resident education, and maintains a private practice in New York City. Katherine is an Assistant Professor of Psychiatry at Weill Cornell Medicine. She graduated from Columbia University Vagelos College of Physicians and Surgeons, completed her General Psychiatry Residency at NewYork-Presbyterian Hospital/Weill Cornell Medicine, followed by fellowship in geriatric psychiatry at NewYork-Presbyterian Weill Cornell Institute of Geriatric Psychiatry. 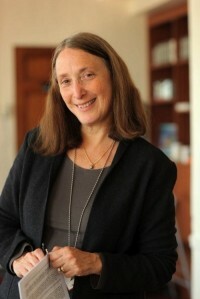 Her academic interests include elder abuse, geriatric depression, managing transitions in late life, and healthy aging. In addition to her work with NYCEAC, she maintains an outpatient practice in geriatric psychiatry at the NewYork-Presbyterian Hospital Westchester Division where she is also involved in the education of fellows in geriatric psychiatry. 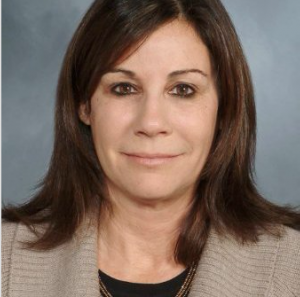 Leslie Mantrone, Helpline Service Specialist, is a licensed social worker with an extensive background in educational and community collaborations. 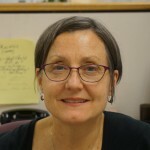 After many years spent developing and overseeing collaborative efforts that supported the health, safety and educational success of children and youth, Leslie went back to school with the goal of pursuing a career as a clinical social worker to serve an often-overlooked population: older adults. Early into her graduate studies at Hunter College, she decided to focus on the issue of elder abuse. Leslie was inspired to do so after research conducted by NYCEAC and its partners brought to light the low rates of elder abuse reporting, despite the high prevalence of elder abuse in New York State and nationally. 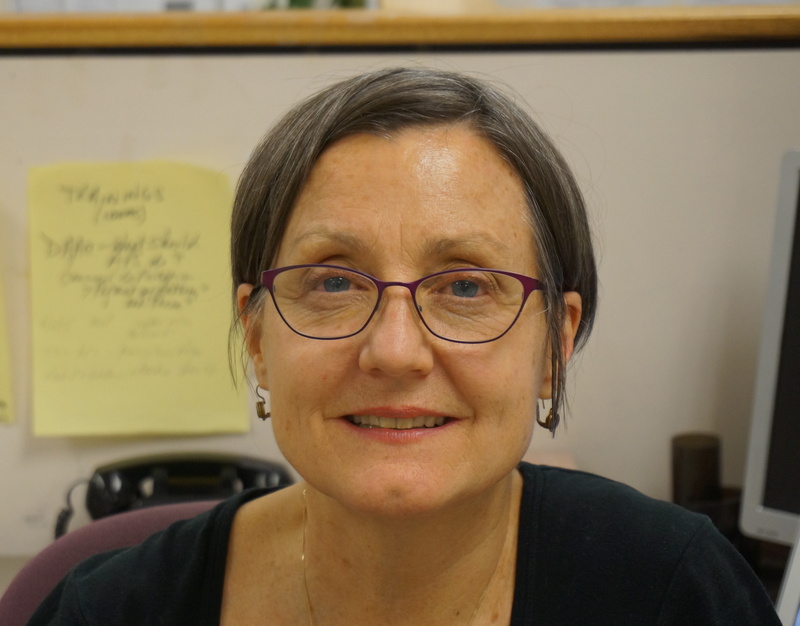 As the Helpline Service Specialist, Leslie provides information and support to family, friends and neighbors (“concerned persons”) in the lives of New York City-based elder abuse victims. Leslie also helps educate the public, service providers, government officials and policy makers about the needs of concerned persons and of the availability of the Helpline, the first of its kind in the country. To contact Leslie and the Helpline click here. Pam is the Coordinator for NYCEAC’s Pilot Project to Develop an Interview Tool for APS to Gather Information about Clients’ Decision-making Abilities. In this role, she works closely with a team of dedicated professionals to develop a standardized interview tool and train APS caseworkers and supervisors on its use. Pam has contributed to NYCEAC’s social media campaign efforts and the development of an elder abuse video clip series with elder justice experts from diverse fields and backgrounds. 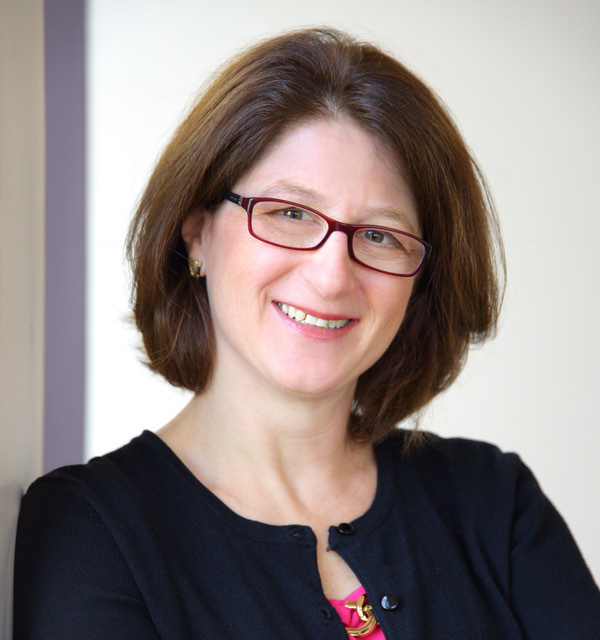 Within the Division of Geriatrics and Palliative Medicine at Weill Cornell Medicine, Pam provides administrative and strategic planning support to the Palliative Care Consultation Service initiatives. 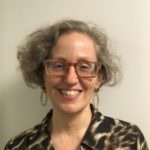 Additionally, Pam spearheads the Geriatric Fellows Psychosocial Consortium, bringing together 19 NYC-area geriatric fellowship programs to strengthen psychosocial education for geriatric fellows. Her responsibilities include overseeing the Consortium’s annual conference. Debra is NYCEAC’s Digital Engagement Consultant. Debra is the founder and Digital Engagement Strategist at Community Organizer 2.0, a digital and social media consulting firm to nonprofit organizations, specializing in online strategy and engagement. She is also a partner in Matterness Consulting with author and social media strategist Allison Fine. In both ventures, Debra brings a passion for digital engagement. Debra uses this passion to help stakeholders be known, heard, and valued. Debra applies her passion for digital engagement in her work for NYCEAC. Debra supervises NYCEAC’s social media strategy, oversees the work conducted by the Social Media Manager, and reviews NYCEAC’s social media footprint to analyze and develop strategies for increasing NYCEAC’s impact and outreach.